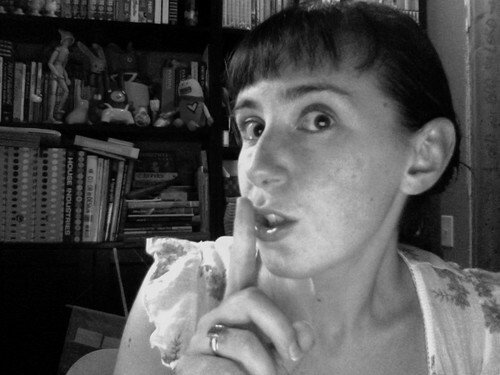 Secrets are so much fun, and yet, they make me go a little crazy. At a certain point, I just want to tell, because when you know something good, who wants to keep it all to themselves? My secret right now is that I'm working on a project for a client, and it is really, really cool. I know that you will love it, but it's still a work in progress, and I don't even know when it will be ready to share. It could be many months. But it is soft and sweet and super cute. Oh, how this torments me! How about you? Any secrets that you just can't keep? That's not very nice to keep us in suspense!